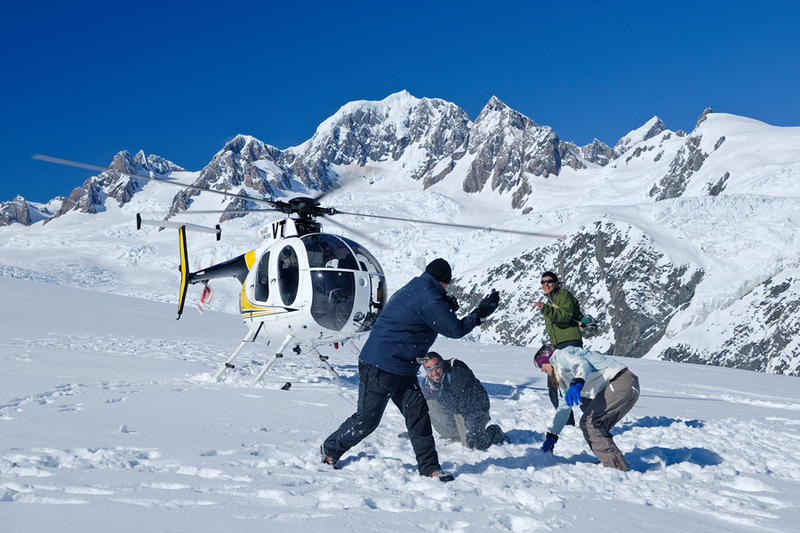 Experience the true untouched beauty and awe inspiring scenery of NZ’s South Island with an exciting scenic helicopter flight and snow landing on the majestic Fox and Franz Josef Glaciers. 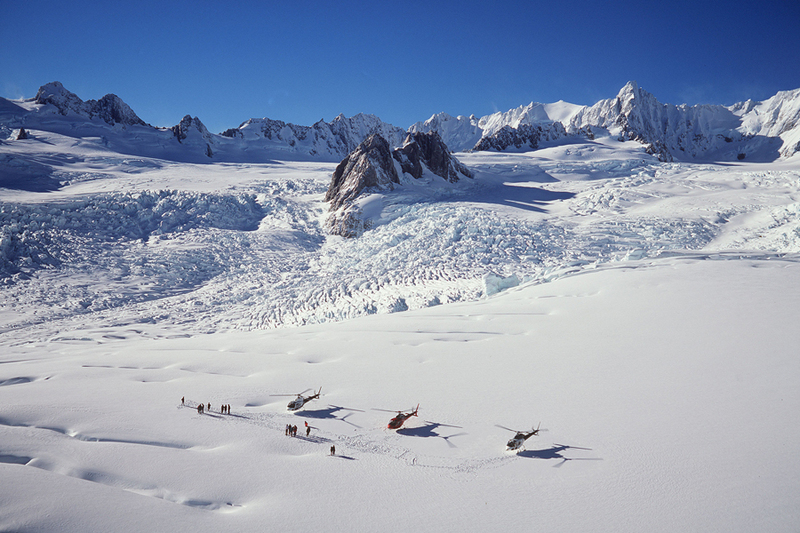 Fox and Franz Heliservices are based in both Fox and Franz Josef and are proud to be the only 100% locally owned and operated helicopter company licensed to land at all designated landing sites within the Westland National Park. This is the ‘grand-daddy’ of all flights and highly recommended! 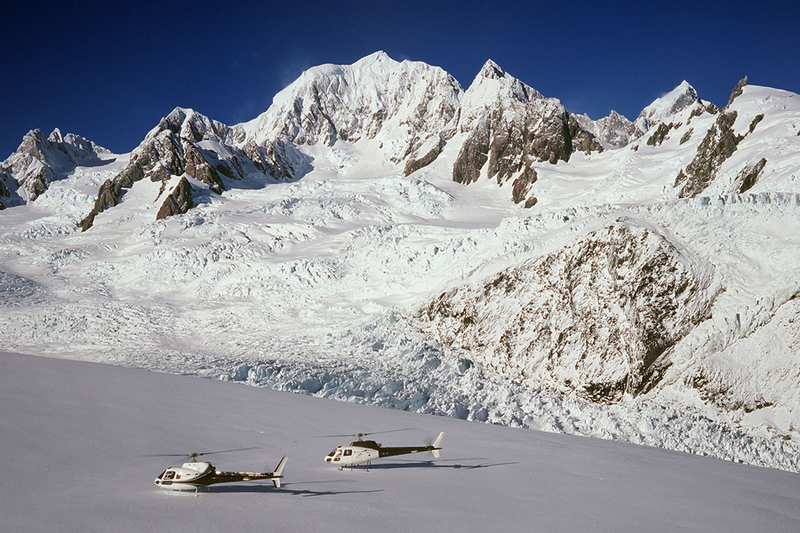 Take in both the Fox and Franz Josef Glaciers and the sheer West faces of Mount Cook and Mount Tasman in this fabulous flight! Charters are available upon request along with transportation for hunters, fishermen, photographers, film crews, trampers and other private charters. Request a Quotation. Please check in 15 – 20 minutes before your scheduled departure time. This allows time for processing and aircraft allocation. If you are part of a large group (10 people or more), then you will need to check in 25 minutes prior to departure. 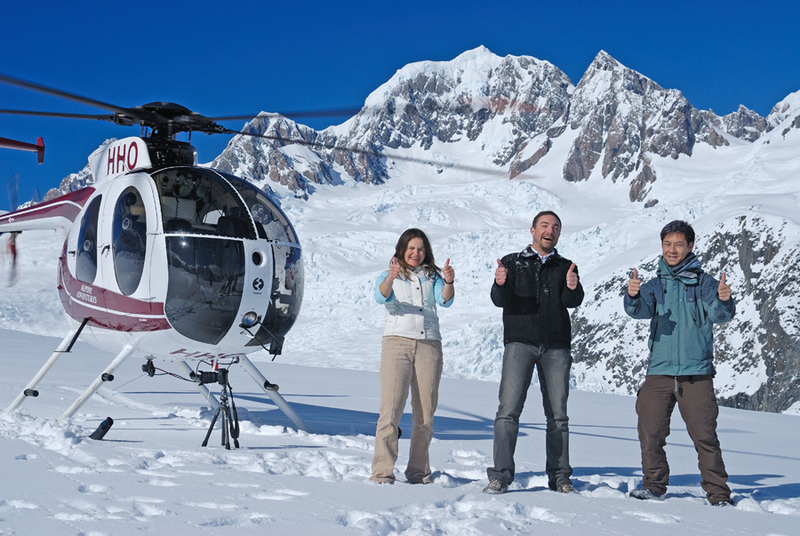 Franz Josef: Alpine Adventure Centre, State Highway 6, Franz Josef. Fox Glacier: Fox Glacier Guides Building, State Highway 6, Fox Glacier.